MIXACO in the Rubber Industry. High Throughput and Superlative Mixing Quality. High mixing precision is absolutely essential when manufacturing elastomers. Mixing processes are often extremely complex due to the different material properties of individual ingredients. Analyses and trial runs are a solid basis for the implementation of recipes in the numerous applications required for industrial production, as this guarantees process safety and consistently high quality under the conditions later found in everyday manufacturing. As vulcanized compounds, such as rubber or TPE, are required to possess certain application-specific properties, for example, resistance to ageing, flexibility at low temperatures, or specific hardness and elasticity values, mixtures and mixing processes must be very precisely defined. 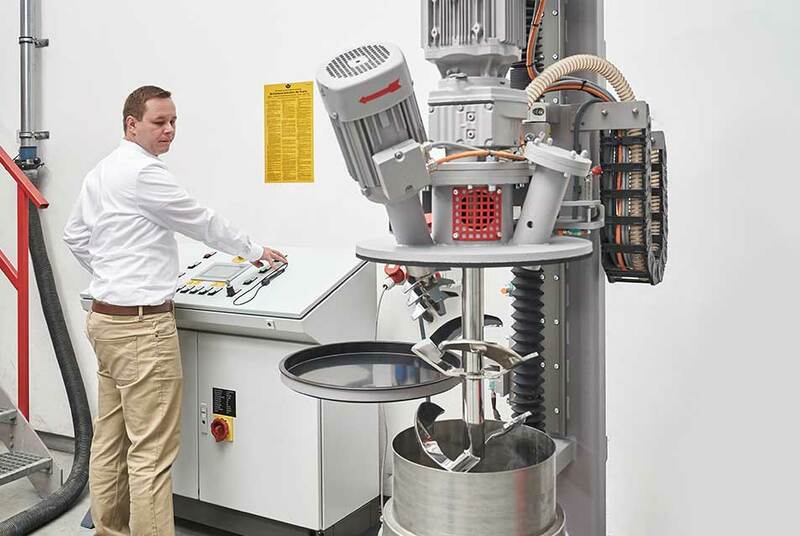 In one of our Innovation Centers, we work with our customers to develop custom-made solutions for superlative mixing quality. The aim is to achieve optimum homogenization of the components and prevent agglomeration. If, for example, fillers such as carbon black or silica are not distributed properly, this can lead to faults in the mixture, which have a negative impact on the physical properties of the elastomer product. 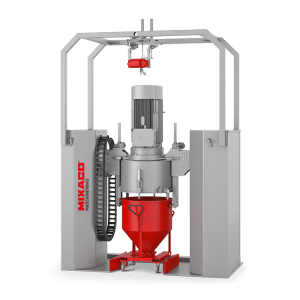 The right mixing process is also important when particularly temperature-sensitive materials such as zinc oxide, plasticizers or cross-linking chemicals are added to rubber powder. In the case of synthetic elastomers, the exact dosage of material and temperature are crucial. 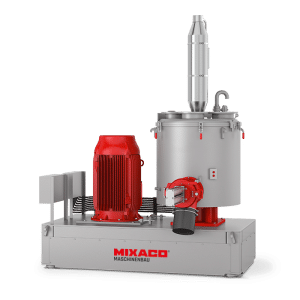 Rubber production is a chain of discontinuous processes in which batches must be mixed rapidly and with a high throughput, so MIXACO mixers – designed to combine maximum efficiency and flexible handling – are ideal for the job. Our machines provide customized solutions for every application. 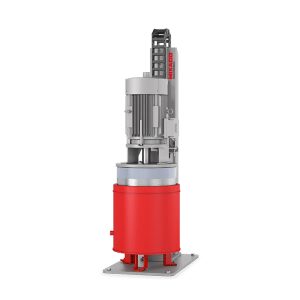 For example, our mixers with liquid injection capability deliver perfect results for processing thermoplastic elastomers such as SEBS or SBS, making all workflows related to the overall mixing process significantly easier and faster. MIXACO takes a holistic view of every mixture, from processing of the original ingredients right down to the finished product. When it comes to manufacturing elastomers, the focus is also on the entire production chain, which enables the precise definition of mixing processes and machine control parameters. 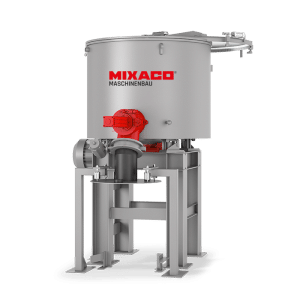 MIXACO has profound experience and knowledge of elastomer mixing. We are masters of all the common procedures and processes used in the rubber industry. If you still haven’t found the solution for a new idea, we will immediately help you to develop one. TPE ︎‣ TPO ︎‣ Powdered rubber ‣ etc. We supply mixing systems in a wide range of dimensions and batch sizes for the production of elastomers. 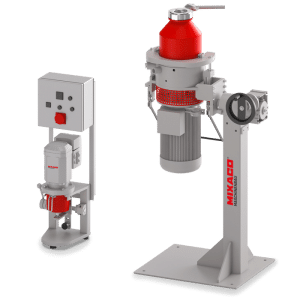 As a leading supplier in this market, MIXACO delivers maximum efficiency, superlative mixing quality, optimum machine availability and a wealth of unique know-how for the complex individual requirements of the rubber industry. Your Reliable Partner for Elastomer Mixing Questions. We have straight answers for your individual requirements. To submit your inquiry without obligation, simply fill in our contact form. Your encoded data will be transmitted securely and treated in complete confidence. Our Newsletter: The convenenient way to have important news about the industry, new products and current MIXACO developments sent directly to your e-mail inbox. © Copyright ▪︎ MIXACO Maschinenbau ▪︎ All rights reserved.